State-controlled media in Russia peddle an aggressive narrative about the West as a place in political and moral decay. Audiences are told that EU countries, such as Finland, are dangerous for Russian travellers and that Russians who live in the West should return to Russia. However, not only foreign countries are targets of the Russian government-controlled disinformation campaign; Russian society itself is also a frequent recipient of information manipulation. And countering disinformation is not only something that happens in countries outside Russia; there are also Russians who participate in this work inside their own country. 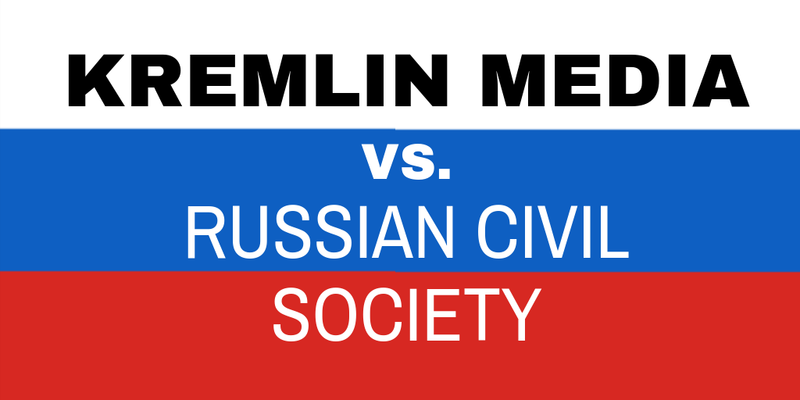 Domestic disinformation often targets Russian civil society actors. Independent Russian journalists and human rights defenders are systematically misrepresented as agents of foreign governments, as are opposition politicians and environmental activists. 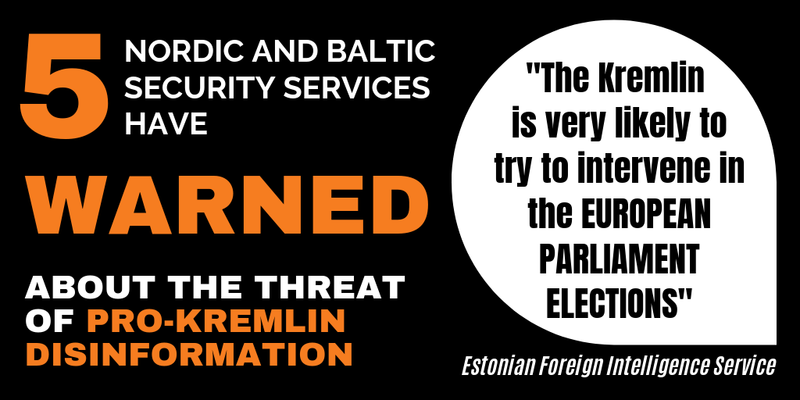 Disinformation is used as a tool to discredit Russian independent election observers and for example to create the false impression that international observers have been satisfied with the way elections are held in Russia. NTV and other state-controlled media regularly attack Russian human rights defenders and other civil society activists with disinformation. 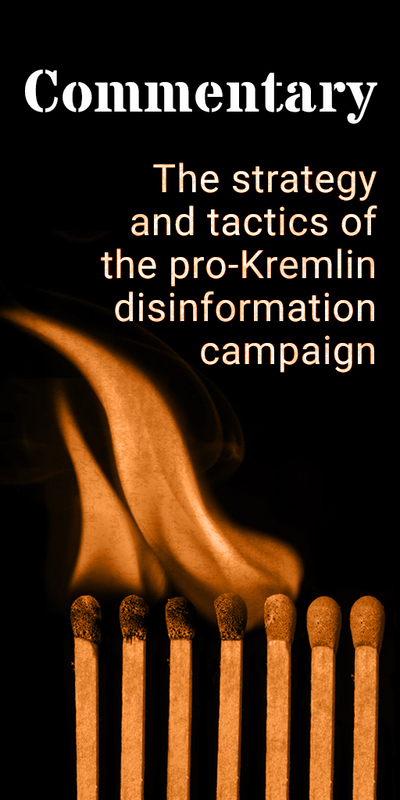 Conspiracy theories play a special role in the disinformation campaign, and this includes the attacks on Russian civil society. In some of the more entertaining cases, yellow plastic ducks and fidget spinners have been presented as key elements of an alleged Western conspiracy to meddle in Russian internal affairs. At the much more serious end, opposition leader Boris Nemtsov was the target of a disinformation campaign directed against him personally both before and after his killing near the Kremlin in February 2015. The aim of the combined local and global approach is to strengthen the Kremlin’s position in a besieged fortress narrative and minimise the relevance of political alternatives through damaging dissenters’ reputation in the public eye and sowing distrust in the very idea that there can be constructive forces outside the government. The Russian media landscape is subject to heavy state control; the World Press Freedom index ranks Russia as number 148 out of 180 countries worldwide. Both state media and most of the large, privately owned media follow weekly editorial instructions from the Kremlin. Whistle-blowers have described this media control system in detail (see examples here, here and here). The tendency in the dominating Russian media goes towards more and more manipulation; this is for example apparent in the case of the state-owned news agency RIA Novosti. But in spite of the dominance of the Kremlin’s disinformation-oriented narrative, Russian journalists have often played a key role in identifying the scope of disinformation and trolling. The important information that has surfaced about the “troll factory” in St. Petersburg came from the independent newspaper Novaya Gazeta, from the large business newspaper RBC’s reporting and from the small St. Petersburg-based online magazine Bumaga, but also thanks to fearless individual Russian journalists who, like Lyumila Savchuk, have described these manipulations working under cover. There are pockets of oxygen in the Russian media landscape where Russian journalists work not only to uphold journalistic standards, but also to expose and debunk the Kremlin-loyal disinformation in spite of a constant threat of different kinds of crackdowns from the government’s side. The independent online outlet The Insider is an example of an outlet where journalists have specialised in raising awareness of disinformation with two special sections devoted to “anti-fake” and to “testimonies”, where some of the most revealing whistle-blower stories about the Kremlin’s media control have appeared. It was also in this section that The Insider revealed how Russian media received instructions about how to support the incumbent president during the election campaign. A recent TV documentary has shown how The Insider and other Russian journalists work to expose disinformation and trolling. 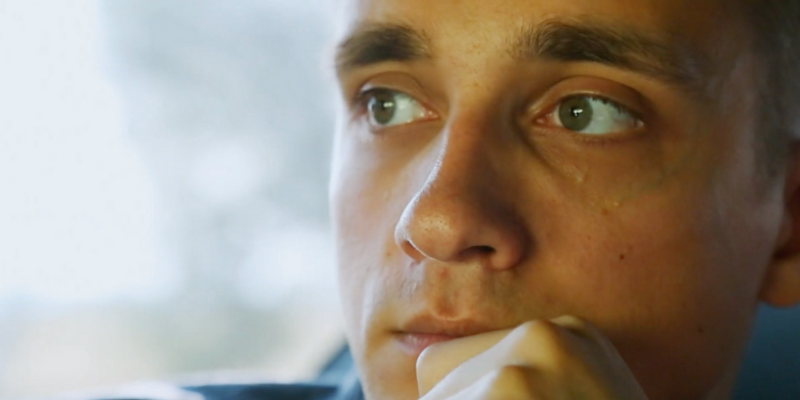 A new TV documentary has shown how disinformation is produced by “the troll factory” in St. Petersburg, but also examples of how journalists from Russia have been able to challenge this kind of propaganda. Independent TV Rain has a special magazine programme dedicated to exposing information manipulations. The TV station has been removed from Russian cable packages and forced to broadcast only online as a result of its unwillingness to follow the Kremlin’s line. Also other independent media keep an eye on disinformation, for example the Russian online media Medusa, which works from exile in Riga. Recently Medusa e.g. described a case when images from Moscow were used on state TV Rossiya 1 to illustrate successful urban development in the Siberian city of Omsk ahead of President Putin’s visit to the city. Finally, a number of Russian language media with their base outside Russia maintain a focus on disinformation. For example, StopFake raises awareness about this problem in Russian from Kyiv, and RFE/RL’s Russian online TV project Current Time has a show that exposes and debunks disinformation.